Fictional story. A girl left in the care of her granddad following the death of her mother tries to prove to her alcoholic father she can train an abused horse. 215 pgs. Ages 12 & up. 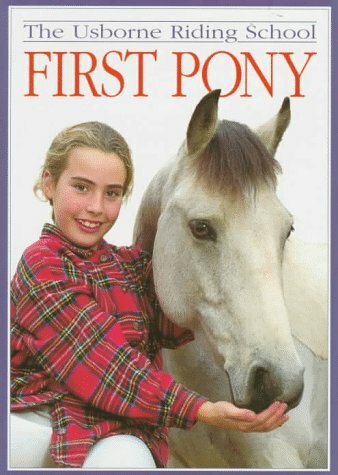 Will help you choose, care for, & get to know your first pony. 32 pgs. Ages 8-12. 2 stories in one book. 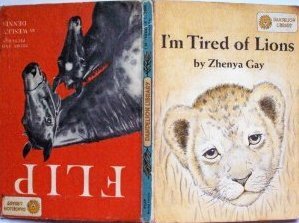 "Flip" a horse story and "I'm Tired of Lions" a lion story. Illustrated. Ages 6-8. At Animal Ark, Mandy Hope helps her parents treat animals of all shapes and sizes. Even outside the clinic, Mandy can't resist helping any animal in need. When two foals are born on Drysdale Farm, their owner, Nick Summers, asks Mandy and James to help. Nick is too busy building up the farm's stables to care for his them. If Nick can't make the farm a success soon, it will have to be sold. And that means the foals will have to go. Can Mandy help save Nick's farm--and his foals? Ages 9-12. 133 pgs. Can you find the hidden stories & pictures in these paintings? This picture book for children features 12 popular camouflage and Native American animal-spirit paintings by the well-known artist Bev Doolittle. The text invites readers to see the natural world and its animals with the Native American's eyes and to create their own stories while looking at the pictures. Full color pages. Ages 4-8. 32 pgs. Cindy is happy to be a part of the McLean family, and is thrilled to travel with them to California to watch Samantha ride in a competition. 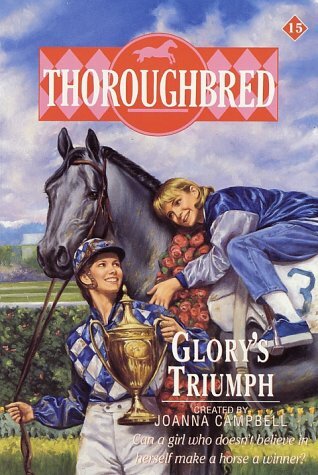 One day she'll compete, too--when she convinces them all that her horse Glory has what it takes to be a champion.191 pgs. Ages 9-12. Story of a colt. Ages 12 & up. 131 pgs. 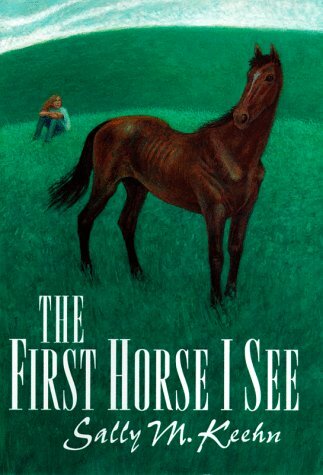 Classic horse story. 315 pgs. Ages 12 & up. 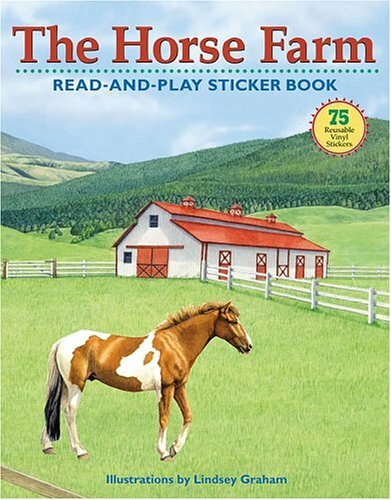 Classic horse story. 334 pgs. Ages 12 & up. 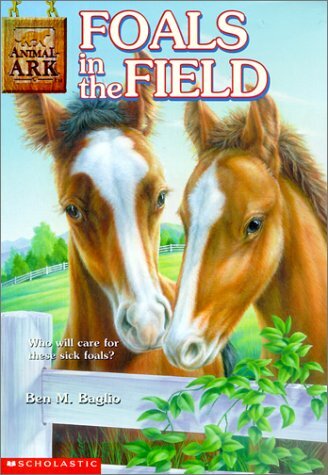 Classic horse story. 319 pgs. Ages 12 & up. 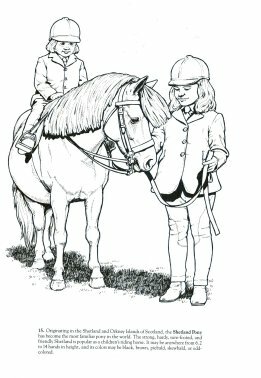 Detailed, practical advice for the day-to-day care & handling of horses & ponies. Filled with colorful photographs and illustrations. 32 pgs. Ages 8-12. Explains the very basic rules of riding to young riders in an easy way. Happy illustrations. Ages 12 & up. Drawings of 12 different horses, donkeys and mules of Hawaii. Each picture has a short description and information about that animal and its uses in Hawaii. Ages 4-8. 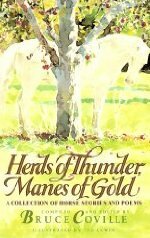 A collection of horse stories & poems. Spanning many eras and cultures, this unique anthology of horse stories and poems includes both classic favorites such as Anna Sewell's Black Beauty, as well as completely new stories created especially for this collection. 20 full-color illustrations. 176 pgs. Ages 10 & up. How a talking horse and a boy prince saved Narnia from invasion. Ages 12 & up. 191 pgs. 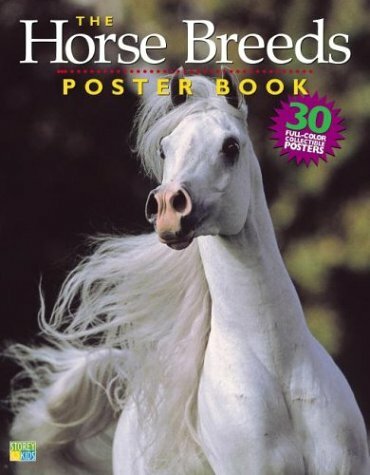 30 full-color, pull-out, poster-size beauty shots of your favorite horses, running, jumping, grazing, and working. Flip the poster over and you'll find an information-packed panel that tells you where the breed comes from, what it's good at, and alot more. All ages. Information all about horses, their care, their work, tack, training. Complete with 80 reusable vinyl stickers. Ages 6-10. 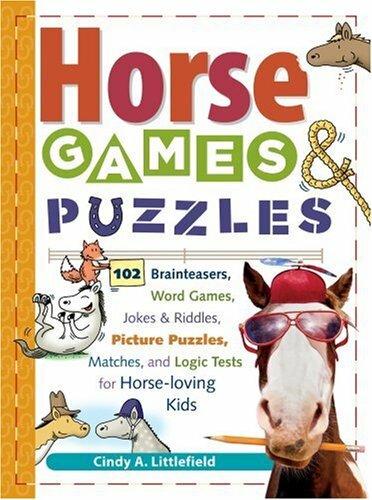 102 brainteasers, word games, jokes, riddles, picture puzzles, matches and logic tests for the horse-loving kid. 137 pgs. Ages 10 & up. When Abby finds an abandoned miniature horse, she takes it home with her. 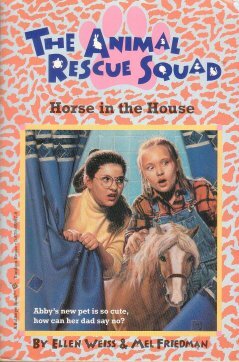 Hiding a miniature horse is more difficult than Abby expected after she rescues him from a deserted stable, so when he develops colic, Abby enlists the help of the Animal Rescue Squad to find him a new home. Ages 9-12. 119 pgs. Training, grooming, trailering, apparel, tack, competing, sportsmanship. 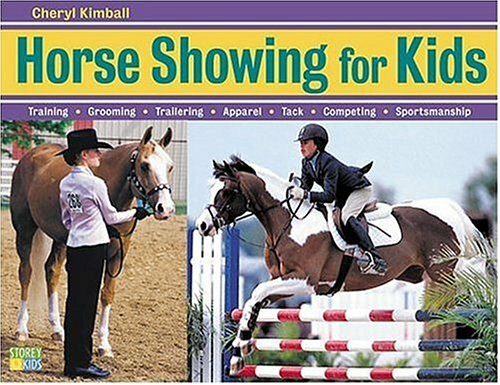 Includes checklists to help prepare for a show, a show diary so you can chart your progress, and tips from judges, trainers, and kids who have competed. Filled with color photos. 152 pgs. Ages 12 and up. Contains a 32 page educational coloring book & includes a cassette tape with factual information, dramatic narration, sound effects and music. 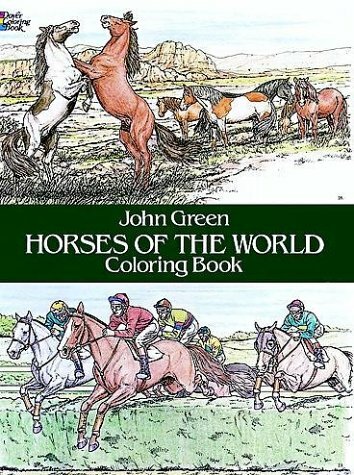 A must for horse lovers. Learn about the prehistoric wild horse plus many of todays famous breeds. Zebra, shetland, arabian, mustang, clydesdale, more. Ages 6-12. 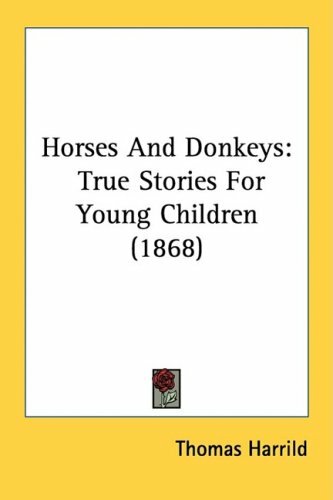 Reprint of horse stories originally published in 1868. 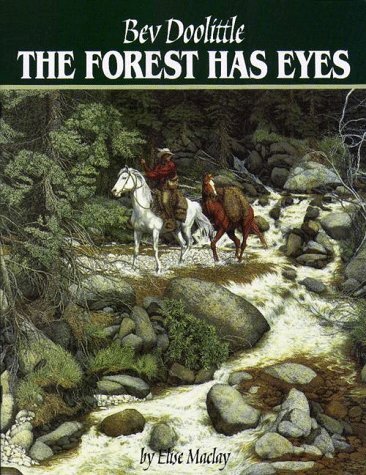 Stories include: Horses in the Olden Times; Horses for the Chase; Batlle-Horses; Horses for Riding & driving; Horses of Eastern Lands; Cart-Horses & Waggon Horses; The Horse and His Friends; & The Poor Old Donkey. 189 pgs. Ages 10-14. 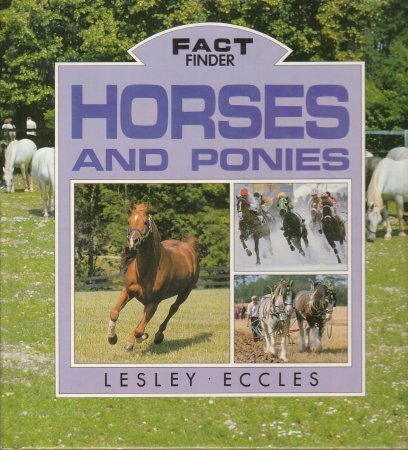 Pocket-size book with photos & information about a variety of breeds of horses & ponies. 64 pgs. Ages 4-8. 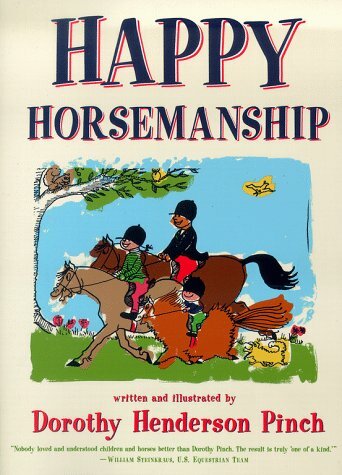 This easy-to-use guide covers every aspect of horsemanship, from the everyday basics of horse care and horseback riding to such spectacular events as show jumping, from their history & evolution to popular breeds of horses & ponies. Fully illustrated with color photos & drawings. Ages 10 & up. Great for adults too. 64 pgs. 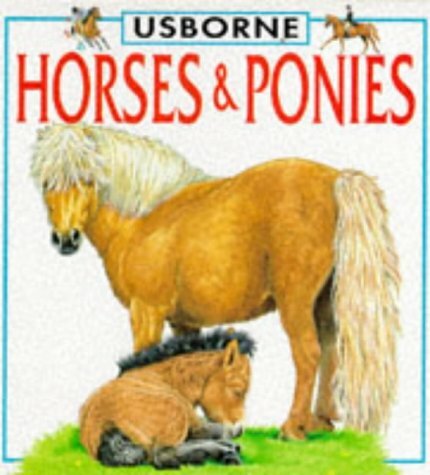 Field guide for help in identifying different breeds of horses & ponies. 64 pgs. Ages 12 & up. Great for adults too. 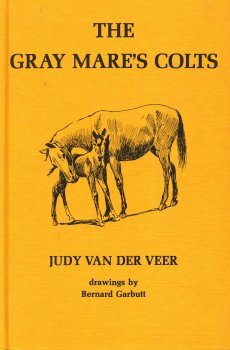 42 detailed line drawings of stallions & mares from all over the world. Ages 8-12. A clear & concise safety guide designed to help the young ridier avoid accidents. 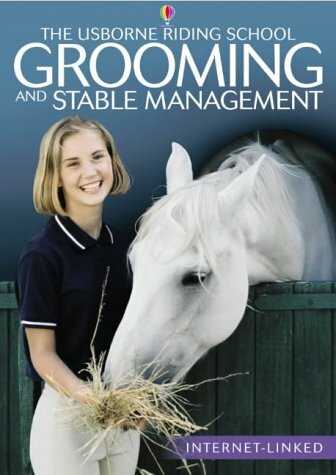 Includes tips & pointers on everything from buying a horse to handling problem situations. B/W photos. Ages 12 & up. 65 pgs.